Limescale is one of the most common household problems when it comes to cleaning. And it can be a real challenge to get rid of! As experts in cleaning, we know our customers want a solution that is quick and easy. That’s why we’ve put together this article on how to clean limescale. Do you want tips from the experts that actually work? Then look no further! We have the solution for you! What is Limescale and What Causes It? 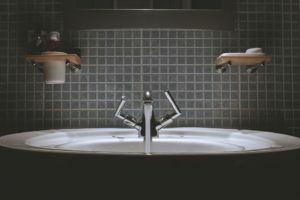 Although we are probably all familiar with the hard, white, and sometimes chalky appearance of limescale, many of us are unsure of what actually causes it. Well, limescale is caused by hard water. This is water created by rainwater passing through sedimentary rocks (limescale and chalk). During this process, the water collects calcium and magnesium carbonates, resulting in hard water. Is Limescale Harmful for You? It may be surprising to note that limescale itself isn’t bad for you. Despite what you may assume, limescale can actually benefit your health. How? Well, it contains minerals that the body needs for many of its natural processes. So, if you ingest limescale with your cup of tea, there is no need to panic – you could be doing yourself a favour! However, although limescale isn’t harmful when ingested, the hard water that causes it can have negative effects. Not only does hard water dry out your skin, but it can have a significant impact on the cleanliness of your home. Limescale is not attractive around the home and can make many areas of your property look unsightly. However, the unattractive features of limescale aren’t the real problem. It’s your appliances, such as the dishwasher, washing machine, and kettles, that you need to be aware of. Limescale steadily builds up over time, preventing all sorts of items in your home from performing at their best. Often, you don’t even notice the limescale building up at first, and then one day your appliances just stop working (if left untreated). To prevent this and a host of other problems, you need to treat limescale as soon as you notice it. Scroll down to discover how to tackle it effectively. Let’s start with the natural remedies first. There are so many natural cleaning solutions that can help reduce the number of harmful chemicals you use in and around your home. Below are our natural suggestions for cleaning limescale effectively. There are numerous brands in the shops telling you that they’re the ultimate limescale remover. However, the only ingredients you really need to effectively remove limescalle are the acid from lemon juice and the strength of vinegar. These two ingredients combined are one of the best cleaning solutions for tackling stubborn areas of limescale. Simply spray over the affected surface, leave to soak in for at least an hour (or preferably overnight for those extra stubborn stains) and then scrub the limescale away. To keep limescale at bay, make a spray bottle up of half vinegar and half lemon juice or water. Use this natural solution regularly on the tiles, basins and taps around your home to keep limescale at bay. Simply putting a few preventative measures like this in place can help prevent a build-up of limescale over time. Top tip: do not use lemon juice and vinegar on plated taps, particularly gold, as the acidic nature of vinegar and lemon can damage the finish. Vinegar is an excellent cleaning solution for a number of troublesome areas around your home. If your kettle has been filling up with limescale, it’s time you did something about it. Simply fill the kettle with a solution of half water and half vinegar, then leave it overnight. In the morning, you should be able to scrub the limescale off with ease. Top tip: if the limescale situation in your kettle or coffee machine is very severe, another good remedy is to pour a can of coke into the appliance and boil it. Sounds like a really odd piece of advice, but trust us, it really works. To clean the limescale from your dishwashers and washing machines, use a large cup of vinegar and lemon juice instead of your usual washing detergent. Then, run the machine on its normal wash cycle, just as you would if you were washing the dishes or your clothes. 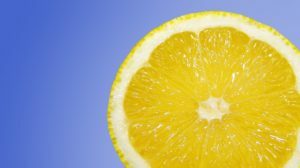 As well as removing limescale, a large solution of vinegar and lemon juice will also help freshen up your appliance, helping it smell brand new. Soaking your showerheads in a solution of half water and half white vinegar is the best method for removing limescale. Simply sit your showerhead in the solution overnight and then rinse with plain water in the morning. To remove any remaining pieces of limescale, use a needle to clear out the jet holes and you’ll have a fully clean, blockage-free and functional showerhead. Again, this might seem like an odd tip, but Cocoa Cola is one of the best products to use for cleaning limescale. It is especially effective used in your toilet bowl. To try this method, simply pour one litre of Coca Cola into the toilet bowl and leave it to sit for an hour. This gives it time to work its magic. Come back an hour later and give the toilet bowl a thorough scrub before flushing and you’ll find no more limescale! 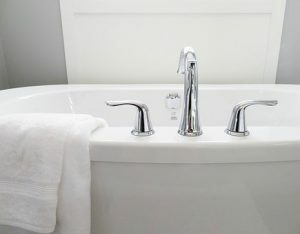 A solution of two parts bicarbonate soda and 1 part white vinegar is the best method for removing limescale from your bathtub. Simply apply the solution to areas affected with water stains, leave for ten minutes and then scrub away with an abrasive sponge. This simple and easy method will help clear limescale from your bath completely. When you’re cleaning the limescale around your home, your iron may not be an obvious choice. However, your iron works by heating up to a very high temperature so that the water can be turned into steam and iron your clothes effectively. 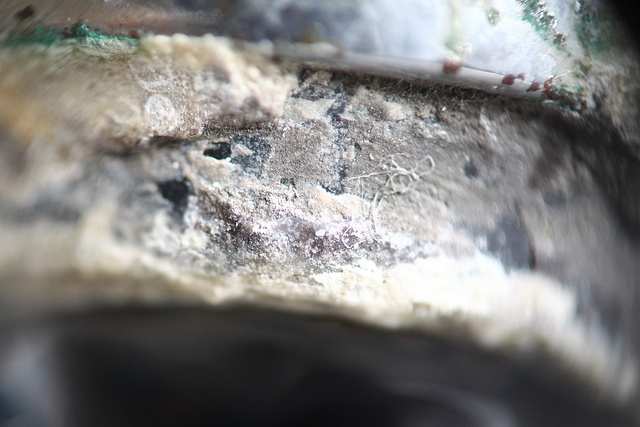 Limescale is not good for your iron and can cause blockages to form in both the tank and the steam vents. Not only can this prevent your iron from working properly, but a steady build-up of limescale over time can cause your iron to break completely. So, it is important to clean it thoroughly. To remove limescale from your iron, mix equal parts of distilled water and white vinegar and fill 1/3 of your iron’s water reservoir with the solution. Then, turn your iron to medium heat and let it steam away until all the water has completely evaporated. Then, turn the iron off and leave to cool. Once cooled, wipe the plate clean with a cloth. If you don’t want to deal with cleaning limescale on a regular basis, it’s important you know the best prevention methods. Below we have listed tips from the experts on how to prevent limescale in your home. 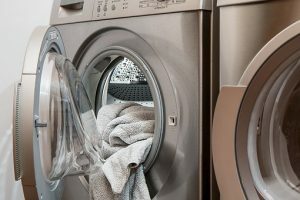 Washing Machine: add water softener to your machine as this will help prevent limescale build-up, helping your washing machine work properly for longer. Taps and Shower Heads: you can fit carbon water filters to all the taps and showerheads in your home as a way of reducing limescale build-up. The filters will remove any water hardness, helping the water flow effectively through. Clean Regularly: the last and final tip we have for you is to clean your home regularly. Regular cleaning is one of the best ways to prevent limescale build-up in your home, keeping your taps, tiles, toilet, and showerheads clean. Click here to find out how to clean your home fast!